Hennings Wine Merchants Tasting, Nyetimber top the charts! As a wine fanatic and self-proclaimed ‘lover of wine’, I don’t tend to turn down too many opportunities to taste new and exciting wines that, A – I’ve never tried and B – I’ve never even heard of! 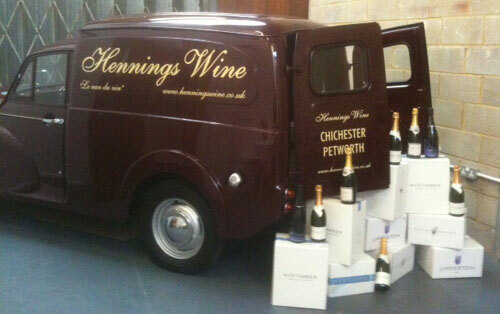 Hennings Wine Merchants is the regional merchant of the year (2011) for South & South East England and they hold a summer tasting each and every year, showcasing their latest collection and what they have on offer for their retailers and individual customers. As a regular to the Hennings’ events over the last 15 years, I know how good they are and the high quality of wine they serve up. Seeing as the British Summer hasn’t even turned up (weather wise of course! 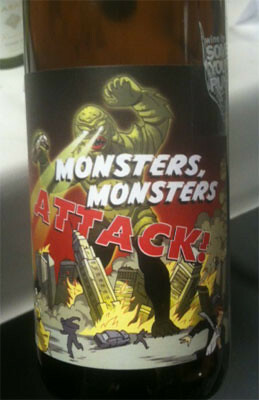 ), it gave me an even bigger incentive to attend the summer 2012 tasting and discover something new. With 50 different wines available to taste, from over 11 different countries to what seemed like a nearly endless amounts of different grape types, the taste buds had to adjust to vast amounts of flavours and aromas. Another of my favourites from the tasting was a Californian Pinot Noir from Clarksburg called ‘The Crusher’. This wonderfully named wine made by Don Sebastiani & Sons who are actually a more widely known producer than you think – actually they are the 7th largest family owned wine company in North America!!). The family were previously noted for a very good quality range of wine varietals calls Pepperwood Grove which are sadly now quite hard to come by in the UK. The ‘Crusher’ range however, which also includes a fine Chardonnay and a lovely Cabernet Sauvignon, are now available at Hennings and are made by one of the sons of the family and this fine range, of which the Pinot Noir was my personal favourite are extremely good value for money. With English Sparkling Wine being all the rage at the moment, it would be rather rude and wrong of me to ignore the fantastic 2007 Classic Cuvee from Nyetimber. With it also being a locally produced wine (West Sussex), it is probably the one producer who began getting the English public excited and interested in the potential of British Fizz. This particular Cuvee is a blend of classic champagne grape varieties such as Chardonnay, Pinot Noir and Pinot Meunier. The finished wine is both fruity and nutty alongside a mouth-feel of acidity which accentuates this beautifully balanced example of English Sparkling Wine from an outstanding producer. Have you ever heard of or even tried a Romanian Pinot Grigio? I wouldn’t imagine so and nor had I until last week! The Calusari from Viile Timisului which is produced in central Romania was quite a surprise! It was surprisingly and delightfully fresh and crisp. A dry style showing apple, pear grapefruit and light pineapple flavours. A lovely wine at a very reasonable price and one of the finds of the night! 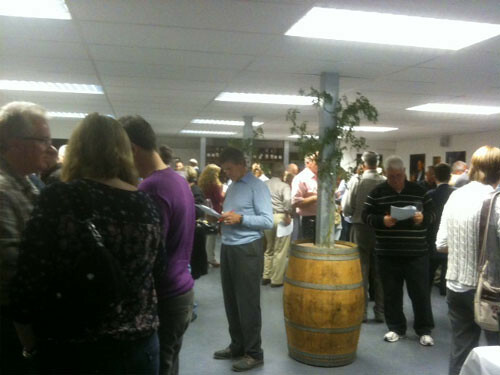 All in all, the Hennings Summer Portfolio Wine Tasting 2012 was as expected, a great night. I bumped into a few familiar faces, as well as the great Hennings team who as you would expect really delivered in their knowledge of the wine in which they were serving. If your local wine merchant or retailer is holding a tasting, why not pop along and try something new and different, you may not be able to pronounce it but you may just find a new favourite!